Mo' Villages is a WorldGen improvement mod that makes villages generate in more biomes and with more biome variants. Minecraft 1.9/1.9.4 users - please note which version of this mod you are downloading. The mod has two editions of v1.5.2, one for only MC 1.9 and one only for MC 1.9.4 (they are not interchangeable, as they use different obfuscations). This line of Mo' Villages is derived, with permission, from Pigs_WTF's version. The default settings for this mod are found on this GitHub (MC 1.8+), to make contributing easier. Changes/updates/contributions to these configuration files will be reflected in updates after the changes. This mod also has a page on MinecraftForum.net (which uses the Curse download). In every village I have visited I've yet to see a single brown-coat villager (farmer/fisher/shepherd) . What has gone wrong? Almost every village I've visited has the torch-lit stand showing it to be a Mo-Villages village, too. is there a way to generate village houses from custom schematics? 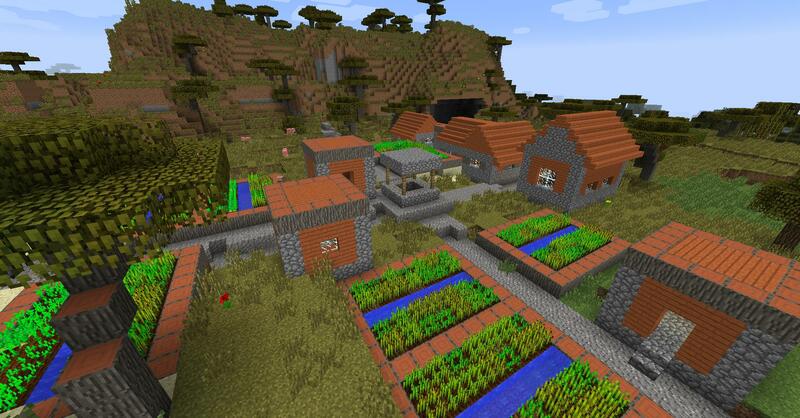 It would be nice if villages that have variants in default 1.12.2 keep their original block palette (e.g spruce wood village in a taiga biome, I also don't like the use of mossy cobblestone in a mega taiga village, this could be a configurable though as an option to customize block palettes per village generation added by this mod). jeez, sorry to burst your bubble ... you are one snarky puppy. I was merely suggesting that some like the look. That's all. Good day and I hope whatever mood you are in on the internet is not reflected in real life - at least that's one thing that's objectively ugly. Is there an upper limit on the village distance? I keep raising it (72 atm), but villages are still spawning within several hundred blocks of eachother. I'm running BoP, Village Names, and Muon (+ many more but I think those are the most relevant). Any suggestions? Oddly enough, I'm trying to get BoP to work with Mo'Villages, and I'm having the opposite issue. At 16, I'm almost never getting villages in the BoP biomes ... nothing I saw in your mod list screamed out at me as a reason you're getting them and I'm not ... is there anything special you did with the config by chance? I would fly around seeing how many villages I could find by just roaming, and I would always find several. If these were spawning in vanilla biomes, and I just happened to get a lot of vanilla biomes spawning near eachother in a BoP world, idk. I ended up turning off some of the biome specific villages in the config to try and reduce how many spawned though, and kept the cooler looking ones going by the images. I was going for very sparse village concentration for my particular mod balance so this worked out in my favor. I think the big long post here describes what's happening. Haha yea, it's all a bit confusing and nobody seems to have the village spawning as a priority. I WAS RIGHT! I just went to the BoP Discord and I was like 'I think I'm missing the structures config file, am I or is it gone now' and some jerk was like 'BoP has no structure config, it doesn't handle village spawning'. So I'm like, 'oh, well it used to...can you point me in the right direction to try and increase spawns' and he's like 'herpa derpa bop no village spawn bye' and never actually helped. It DID have a config! I used to play exclusively on 1.7 until I finally moved to 1.12 this year. Spring this year I was playing and villages were plentiful with BoP. I load the game up a few days ago and I've been on 10+ worlds spending 20+ mins on each and seeing one village. They changed something in the updated files and they have no clue. It bothers the crap out of me. At least own up to it. Now I'm trying to mash my face into Google and figure out how I can up the spawn rates without yet another mod which will probably conflict. Also, the guy on Discord was actually the flipping developer so...if he's denying the existence of a setting literally right there I guess it's time to dabble in new biome mods. You are misquoting the developer quite a bit. 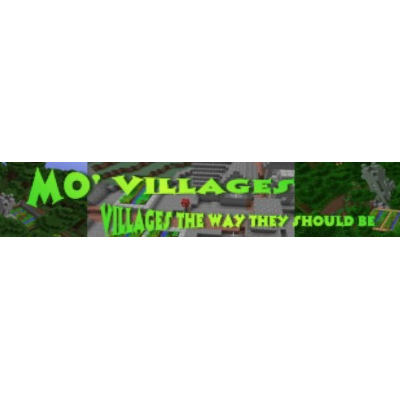 What he told you is that in the current state of the mod the frequency of village spawning is handled as is in vanilla. He was quite polite but you were a bit passive aggressive with your use of sarcastic dot pauses "..........". Hello,This mod is very good! I want to repost this mod to MCBBS, The biggest minecraft forum in China.Do you agree? I really like the mod but can you add Nether Villages? and I also found a glitch that snow Villages spawn in the mega taiga. I love this mod but I just have 1 problem. I cannot change the village spawn frequency in the config file to 8 or 4 because on minecraft the new world doesn't load and my server crashes. is there a way for me or you to fix this? And also I would love to see a similar mod or an add-on that spawns more desert, jungle and ocean temples and maybe also make some double and triple villages.